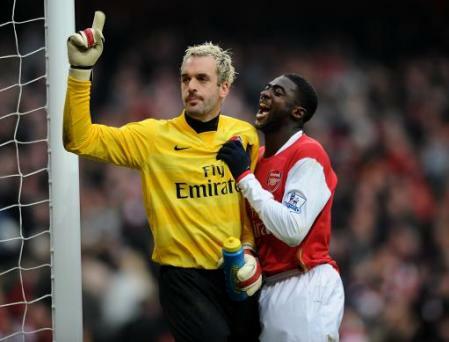 Caption: Arsenal's Kolo Toure and Manuel Almunia celebrate at the final whistle. Special instructions: Use subject to restrictions. Editorial print use only except with prior written approval. New media use requires licence from Football DataCo Ltd.Call +44 (0)1158 447447 or see www.paphotos.com/info/ for full restrictions and further information.